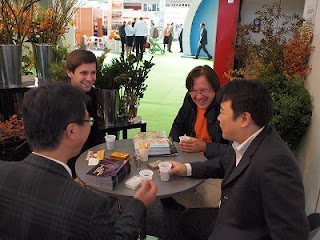 We had a stand at Hortifair 2009 in Amsterdam, from 13th October to 16th October 2009 together with our partners. 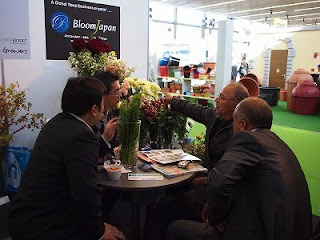 This is the first time to hold a stand for Japanese cut flower export business at Hortifair and many potential buyers from all over Japan and also our exsisting buyers have visited our stand. 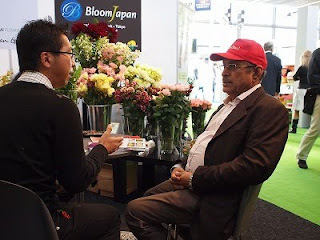 Many foreign buyers were surprised about Japanese flower's quality and varieties and it was so nice for us to promoote Japanese cut flowers, the finest quality in the world. 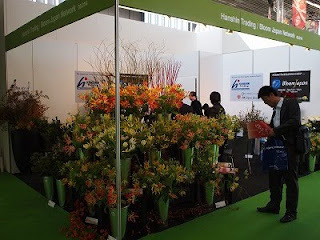 From November 11th to 13th, we'll also have a stand at IFEX (International Flower Expo in Tokyo/Makuhari Messe) . 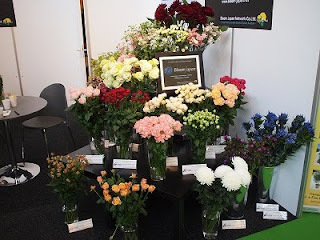 This is also the first time for IFEX orgaization to join Japanese flower export orgaization and we hope we have many visitor to our stand at IFEX.